3. 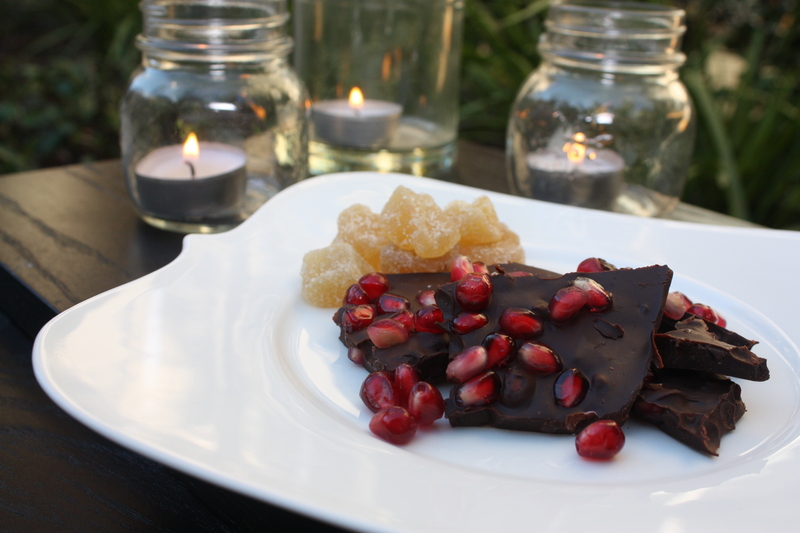 Once melted, gently stir half of the pomegranate seeds, the ginger (break up any clumps with your fingers), and the salt into the chocolate. 4. Scrape the chocolate mixture onto the baking sheet and spread it to desired thickness.